In a society that is inundated with cheap goods often made by workers who are paid unfairly and forced to work under unimaginable conditions, it is rare to find products that possess a deeper value than what is written on the price tag. For Zahara Jade and her most recent jewelry line, P.R.A.Y (Pure Rock Angel Yogi) Jewelry, the thought, energy, and time dedicated to her unique crafting process is as important — if not even more important — as the final product. Zahara’s life as an artisan evolved organically, aligning with her own undeniable authenticity and love of art. While travel has become a major part of her life and a vital aspect of her career, it was from the confines of a hospital bed that her path began. At 10-years-old, Zahara was hospitalized for six months for ailments associated with an autoimmune disease, one that had plagued her since birth. It was in the hospital, where she received her first box of beads, that she began making bracelets, necklaces, and earrings for her family, friends, other patients, and nurses. For Zahara, “jewelry making from an early age held much more meaning than aesthetic beauty.” Her story is a compilation of colorful moments from around the world strung together with intention and Divine designs. Always on the move, Zahara considers every place she travels to be home — as long as she has a yoga mat close by. In 2008, while studying yoga in India, Zahara realized that happiness is in no way intrinsically tied to how much money one has; earlier in her travels, she shed most of her belongings and lived out of a backpack for more than two years. It was after the experience of being tied to only memories and moments that Zahara no longer felt connected to the sparkly, ornate jewelry she once made. The idea of focusing her passion on spiritual jewelry – pieces with meaning and a sacred past — in some way felt more important. It was here in India that her journey began after she picked up several sacred rudraksha seeds and later started incorporating them into malas, and other pieces that held meaning. 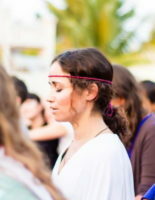 In 2012, Zahara moved to Bali and continued to sell her Mala beads. Her dedication to balancing aesthetic beauty with auspicious meaning attracted a following as well as requests for her to expand her jewelry repertoire to include a socially conscious line of pieces that are eco-friendly, recycled, and infused with healing energies and vibrations. Zahara turned from gemstones to metals after fatefully meeting a Kris Swordsmen during a trip to Indonesia. This encounter inspired her to utilize an infusion of the ancient Kris sword-making techniques to create her contemporary pieces, which possess the properties and spiritual meaning of protection, financial prosperity, harmony in life, spiritual aid and self-confidence; thought to hold a spiritual force which brings the piece “alive”. The final blessing ceremony seals in these powers, priming the piece for the wearer so there may be harmony between the owner and their Kris. Zahara offers recommendations to owners of P.R.A.Y, so that they may combine their energy and wishes with the energy of their pieces. Today, Zahara has extended her production of the Kris sword metals to work with a handful of craftsmen who are connected to the healer caste throughout the Far East. 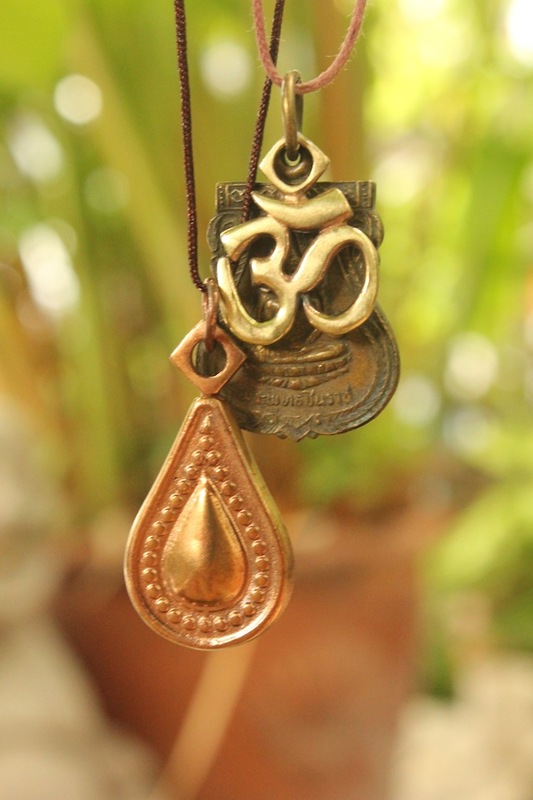 The craftsmen are taught to infuse healing and protective energies into other powerful healing objects such as Buddha statues and amulets, which are incorporated into the P.R.A.Y line. Post-production, monks further infuse the pieces, one in particular specializing in environmental protection. All of Zahara’s co-creators take an approach of non-attachment, doing no harm and adding good energy to the world. It is P.R.A.Y’s goal to bring this energy to the West via her line. There is a certain reverence and devotion that goes into Zahara’s jewelry making, and it is this factor that separates her from the majority of other jewelry artisans. 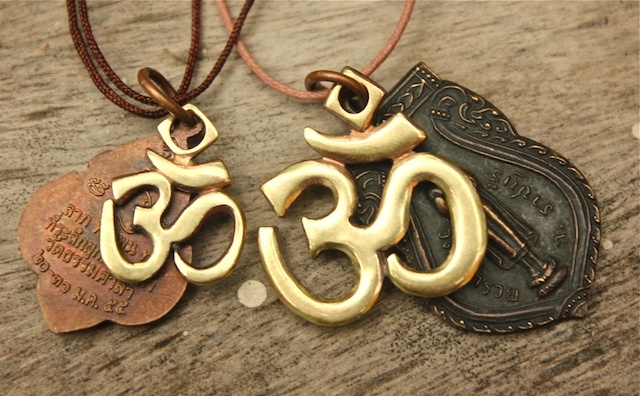 As the artist and aptly asserts, “Everything about P.R.A.Y is unique; from P.R.A.Y’s mission of ‘healing the world one piece of jewelry at a time,’ down to the pricing.” Prices are based on numerology using the numbers 5,6, 9 and 11, which all have significant meaning; 5 and 6 signify success and 9 and 11 are considered to be holy numerals in many Eastern cultures. A portion of P.R.A.Y’s profits are donated to NGOs, Mala Magic and The Cookbook Project. To learn more about P.R.A.Y visit The Culture Collection. THE CULTURE-IST HAS PARTNERED WITH P.R.A.Y Jewelry FOR OUR NEW ONLINE SHOP, THE CULTURE COLLECTION. Click here to Shop the STORE Now!